Educational Philosophy: Our vision for the first-ever Japanese DLP is not just to bring the benefits of bilingualism to our community but also to share the culture and best practices of the Japanese educational model to the school community. Our philosophy of education is based on the concept of dualities and balance. Just like we aim for a balance of Japanese and English language acquisition, we aim for a harmonious balance in other aspects of Japanese and American culture. Through exploring the dualities and aiming to achieve a balance, all students’ lives will be enriched by learning from each other through their years together. JDLP Immersion Model: We believe in both the preservation of the Japanese language and culture, and also in the sharing of this language with non-native / English-speaking children in an educational setting. Our goal is to have self-contained dual-language immersion classes at PS 147, each class containing 12 native Japanese-speaking children and 12 non-native English-speaking children learning content and subjects in two languages. Children who are accepted into the class will receive half of their day taught in English and the other half taught in Japanese. There will be two teachers: one early-childhood certified teacher will teach in English, and the other, a certified Japanese bilingual teacher. This is not a bilingual or ESL program – the goal is not to transition the student out of Japanese and into English but rather for the students to become fully ﬂuent in both languages by the time they leave in 5th grade. JDLP Committee: The JDLP Committee was created and organized by a group of dedicated parents who brought the first-ever public school Japanese Dual Language Program in NYC to PS 147 in Brooklyn. The JDLP Committee continues to grow with the program, with more parents tirelessly working to carry on, share, enrich and increase our children’s cultural awareness as well as promote diversity for all families. 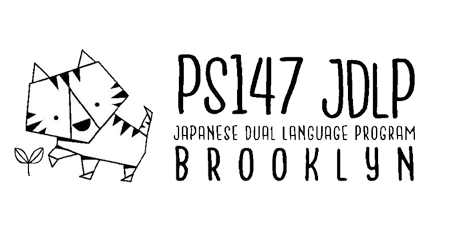 Brooklyn Japanese Dual Language Association, Inc (BJDLA): BJDLA proudly supports and sustains the programming of Japanese Dual Language Program in Public School 147 in Brooklyn. Founded by a group of parents, BJDLA is a non-profit 501(c)3 organization, and all donations made to the program are tax deductible. Financial Report available upon request: Our first financial report (after our incorporation as non-profit organization in September 2018) is available upon request. Please contact ps147jdlp@gmail.com for further information.